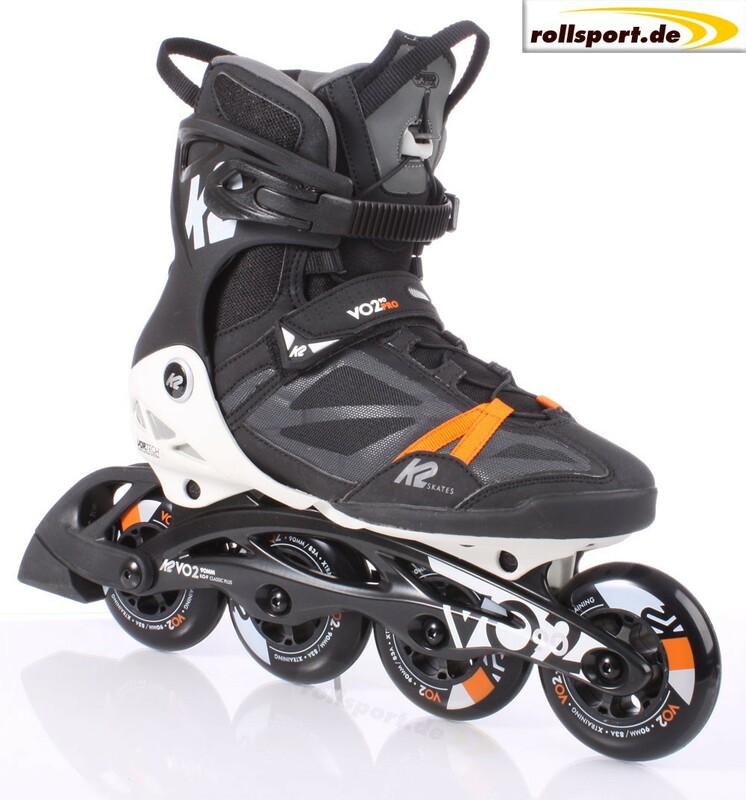 K2 Vo2 90 Pro men skates – the new V02 90 Inline Skates model for men is equipped with 90 mm wheels, as well as a softboot and a VO2 cuff. 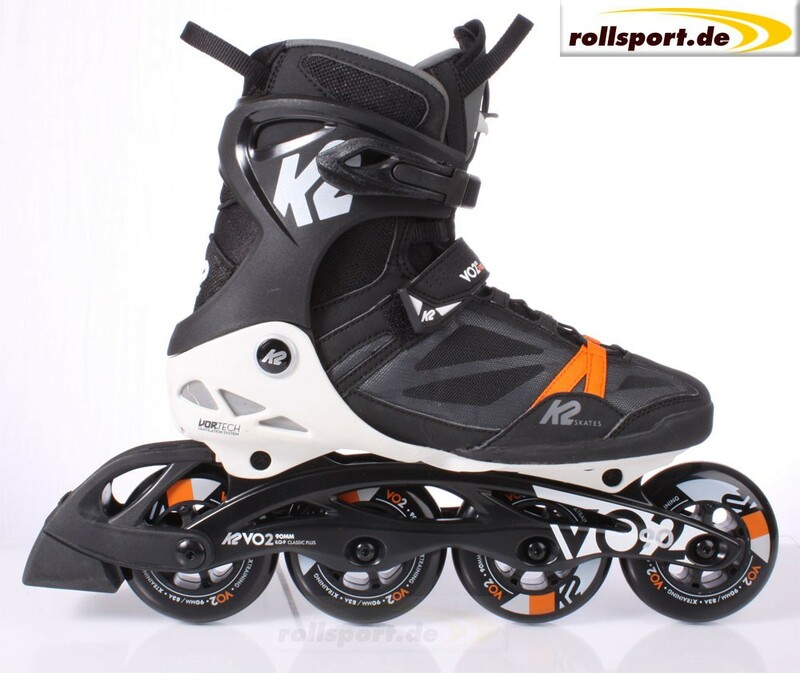 The new training and fitness skate by K2 in heavy orange-white, was equipped with 4x 90 mm wheels, 83a hardness and ILQ-9 Classic Plus ball bearings. The stabilizing cuff supports your foot in the ankle and heel area. The K2 quick lacing system ensures the easy and fast lacing of the skates. 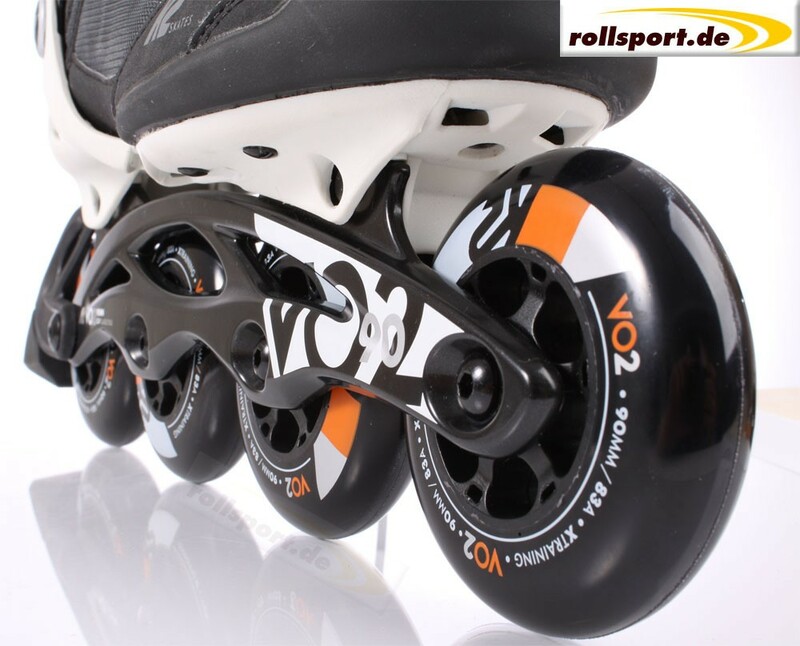 The K2 Vo2 90 Pro skates are equipped with the Vortech ventilation system.